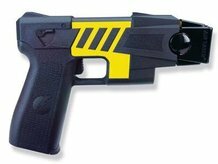 The United States Court of Appeals has ruled that three Seattle police officers were justified when they tasered a pregnant mother three times when she refused to sign a traffic ticket. Malaika Brooks was driving her son to Seattle’s African American Academy in 2004 when she was stopped for doing 32 mph in a school zone. When she refused to get out of her car to be arrested, one officer tasered her repeatedly despite (she claims) knowing that she was pregnant. The officers – Sgt. Steven Daman, Officer Juan Ornelas and Officer Donald Jones – hit her in the thigh, shoulder and neck and then hauled her out of the car and laid her face-down in the street. While the baby was born two months later without injury, the mother has permanent scars from the taserings. Note, she was arrested after going 32 mph. The stacked-up, unsubstantiated speculations that Brooks might have been able to retrieve the keys and might have decided to drive off (although she did not when she had the keys) and might have driven erratically if she did drive off and might have endangered people had she done so simply won’t do as a basis for believing Brooks posed a danger to someone. Indeed, if Officer Ornelas really believed she was going to take off and endanger people, all he had to do was hold on to the keys rather than drop them in the car. A Travis County grand jury decided Wednesday not to indict a deputy constable who hit a 72-year-old woman with a Taser nearly a year ago .